At Samona’s Prime Moving & Storage Inc. they believe in always putting the needs of their clients first. This is one of the main reasons that they provide completely free estimates for their moving services so you can see just how affordable their prices are before you even hire them in the first place. Over the years this company has expanded their team to be able to offer both local and nationwide moving services. This company also offers incredibly cheap storage solutions. 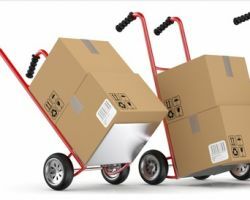 From the testimonials left by previous clients it is easy to see that NY Minute Movers is one of the highest quality moving companies in Long Island, NY and one of the most flexible. They have earned this reputation by always putting their customers first and by adjusting their services to fit each client’s individual needs. By using this approach they have become one of the most reliable services and you can be certain that all of your possessions and pieces of furniture will get to your new home exactly as they left your old one. The goal of Bay Shore Moving & Storage, Inc. is to make sure their clients are as stress-free as possible on moving day. 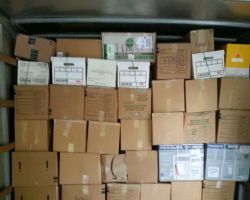 They are part of one of the largest moving networks in the world and this shows in the quality of their services. The reviews of this service have nothing but the best things to say about every aspect and always mention just how smooth the process was. You can quickly receive a moving estimate that will show you just how inexpensive high quality business and house movers can be. Gentle Giant Moving Company provides all of the experience of a nationwide service and the personal touch of a local moving company. As these professional movers and packers have worked all over the country they are in the perfect position to be able to assist clients that are moving long distance or just around the corner. Not only can this service assist with residential moves but they also specialize in international, commercial, piano and specialty furniture, office and apartment moves. Over the years that High Touch Moving System has been serving their local community they have built up their services in order to assist with any kind of move. Now these Long Island movers are able to help with both residential and commercial relocations no matter the size. In addition to getting your belongings to their destination in pristine condition this company can also provide both short and long-term storage options throughout New York and many other locations throughout the country.